There are dozens, if not hundreds, of different survey sites out there. While they all have some benefits, you don’t want to waste your time or effort on signing up for one that isn’t going to pay out. Anyone who has spent time trying to sign up for a survey site that simply wasn’t worth it knows how frustrating that can be. The question is, “Where does SurveySpot fall on this list?” Is this survey site a good one that provides real opportunities to get some great rewards or not? Today’s history lesson and explanation of the site should help you find out just that. SurveySpot, which can be found at www.surveyspot.com, is a paid opinion website. This means that by doing surveys or other opinion-based tasks on their site, you can get some type of compensation. Established in 2000, the site is owned and operated by Survey Sampling International, and according to their website, the goal is to help companies create better products that people actually like, and your opinion is the key to doing just that. Another related goal of the site is to connect the right surveyee with the proper surveys so that corporations can get the intel that they are looking for while survey takers can get rewarded. Now that you know the basics of what it is, let’s find out how it works and whether it is the right choice for you or not. All of those pieces of information have to be given for two main reasons. First, the website needs to validate that you are who you say you are. After all, corporations that work with them are expecting to get real opinions from real people! Second, this information is used to begin matching you to applicable surveys. Beyond the information that is required at registration, you can give more information about yourself so that the company can do an even better job of matching you with surveys that are both applicable to you and worth your time to review. When surveys that apply to you are available, they will send you an email. After completing a survey, you will gain points, and once you have enough points, you can cash these out via Amazon gift cards, PayPal, and more! In relation to that, as of writing, 100 points is equal to $1.00, and each survey that you take is equivalent to points ranging from 50 to 100 points. The exact amount of points awarded depends on both the length and complexity of the responses required. Additionally, every time you take a survey, you get an entry into a quarterly $10,000 prize drawing. The more surveys that you take, the better chances you have of winning! Unfortunately for those living outside of the USA, you cannot avail this since the entry to this sweepstakes is limited to USA residents who are 18 years of age or older. Further, to cash out, you need to have at least 500 points on your account. These can then be traded for gift cards, or you can wait until you have 10,000 points and cash out for $10 via PayPal. PayPal cashouts process within two days while physical gift cards may take up to 10 days. Easy money: If you are bored and want to make a little bit of extra money, you can definitely do that with SurveySpot. While you aren’t going to get rich from the surveys, you can put in just a little bit of effort to be rewarded. Quick cash-out: Some survey sites require that you have a lot more money in your account before you can cash out. The value set by the website is very reasonable in comparison. Variety of surveys: There are many different types of surveys available, so you can find some unique and interesting once to take rather than being bored by being asked the same thing over and over again. This makes it actually enjoyable! There are a few issues that people don’t like about the website, so you might want to know about them to decide if it is an excellent choice for you or not. Long response times: When you have an issue while using website, you may want to reach out to their team to help get it resolved. However, getting an answer to your query can take a few days or even weeks. When you want to make a little bit of easy money on the side, this can be a real buzzkill. False advertisement on survey length: Another issue that you may come across on SurveySpot is that many of the surveys take longer than they say that they will. For example, a survey which says it will take 15 minutes to complete could take 30 minutes or more! Late exclusion: One of the biggest problems with using survey sites, in general, is that even if you are already doing a survey for 10 minutes, you could still be discluded. There are many surveys on SurveySpot like this, and it’s not clear if the site does anything to try to improve this issue. 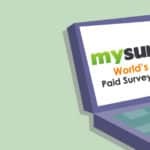 SurveySpot is definitely a legitimate website that pays out money for your opinion in a variety of different surveys and focus groups. With that being said, it’s not the number one option since the site doesn’t have a great feedback system and you won’t make much for every survey that you take. Still, this site is a reasonable option if you just want to make a little bit of extra money throughout your free time. All it takes is a few minutes to sign up, and then you’ll be ready to pick up surveys and get a few bucks in no time at all.